It’s easy enough to cast off the working week with a 48-hour Netflix marathon, plenty of UberEATS, and an all-round lazy demeanor. However, our backyard here in Brisbane is prime for exploring, and the weekend is the perfect time to do just that. So, cast off those trackies, and reacquaint yourself with our fair city—go on, go beyond your regular haunts. The perfect way to do it is with the Honda HR-V—more than just being a pretty face, the HR-V enables you to get your carpe diem on and squeeze the most out of your weekend without compromising on style, and all while oozing sophistication. So, it only made sense to team up with our mates at Honda to bring you the definitive guide to everything new and exciting to do in our city, making sure this weekend is absolutely epic, and your comfort zone is left in the dust. So get out there, and try something new this weekend—like going to a cafe where the barista doesn't know your name. We dare you! Every weekend starts with a deliciously ‘grammable breakfast—or brunch if you’re down for that sleep-in, no judgement—and ends with a delightfully indulgent dinner, so make a beeline for these luxe venues to fuel your perfect weekend. Naim is just about the cutest café in Brisbane and perfect for weekend brunches. With a menu so bright and punchy you’ll need shades, this place does brunch beyond just eggs on toast. The Naim Tartine changes daily, and the green shashuka is ridiculous—so whether you’re a sweet or a savoury person, this is your spot. 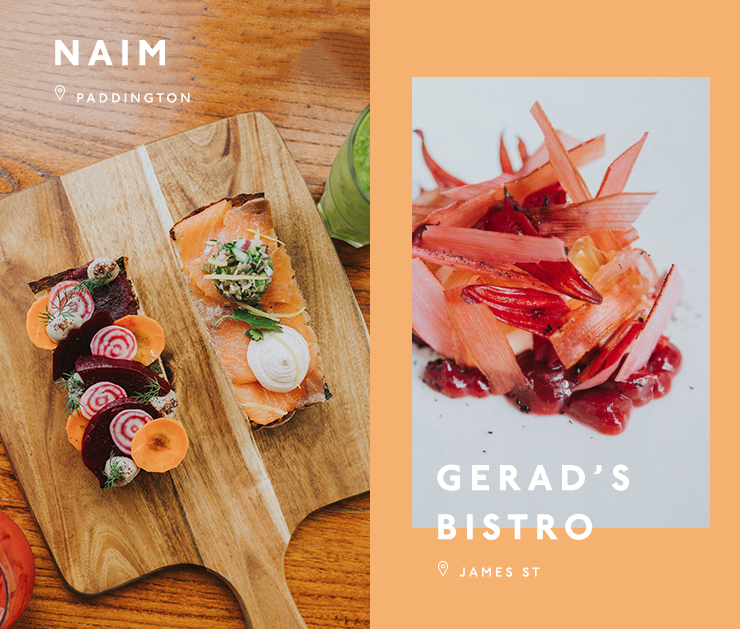 If you’re looking for luxe in Brisbane, Gerard's Bistro is your go-to. We mean, the pictures speak a thousand words, really. With a menu boasting deliciousness such as fried cauliflower with tahini and pomegranate and their life-changing bekaa wings with actual rose petals, it’s no surprise Gerard's Bistro is our go-to for a next-level meal. Oh, and don’t forget to order the Bahibe chocolate ganache—with milk coffee ice-cream no less. Did you really even do your weekend right if you didn’t spend at least half of it window shopping? Nope. These are our picks for a seriously eclectic shopping trip, bet you haven't browsed these boutiques before. We fell in love with Mas & Miek Ceramics from their GoMA pop-ups, and now we'll happily spend many an hour window shopping in their stunning, off-the-beaten-track Newstead store. Venture down from James Street and treat yourself to a gander around this seriously stunning space. Sure, you may not be able to buy the whole store, but you can sign up for pottery classes, so you can make your own stylish wares, too! TWFINEART is a bit of a secret, really. 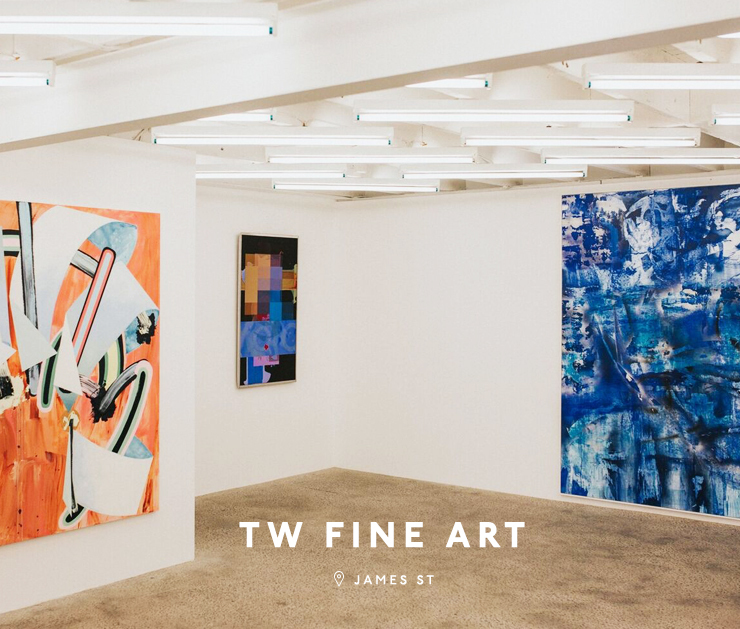 Hidden behind vined walls, just off James Street, and down a laneway, stumbling across TWFINEART is pretty magical. Stop to soak up the art in between shopping on James Street, and let owner Tove educate you on the wonderful world of art (and help you pick a piece perfect for your home, of course!). Colleges Crossing, at the very beginning of the Brisbane River, is Brisbane as you've never seen it. The river here is less urban metropolis and more quaint rural retreat. With slow-flowing water, stunning vistas, and more than a few great spots for a picnic—it's all less than an hour drive from Brisbane. One Wybelenna is a seriously luxe day spa—set in a striking former architect’s residence, on some lusciously green grounds. Prepare for your jaw to drop as soon as you pull into the driveway here, because this place is beyond amazing (and has the awards to back it up). The treatments are equally as indulgent, and even include a red wine hydro bath. We're in! Need to get out and experience the best of uncovered Brisbane? The Honda HR-V is your go-to. Tag us on Insta @urbanlistbne if you're out and about this weekend.